Generally, what is Instituto Superior Técnico like? In terms of friends I am happy to say I made lots of them over the years. In terms of teaching, it was fine. I was not very interested in learning or studying during these years, so it is not the University's fault that I was not interested in hearing professors in classes, so I cannot complain about the teaching method as I would say that my lack of enthusiasm is completely my fault. In terms of activities, it is perfect. I went to so many barbecues, that I could almost say that my second year of college was more a year of barbecues than a year of studying. Of course I did not eat in these gatherings, I only drank. And not many people come to them, so it is really good to go only with your close friends and spend a night in a dark corner of the campus doing nothing but drinking cheap beer. Fests are amazing here, there is one every year, and I honestly can say that it grew better every year, not in the quality of the singers or of the services in it, but of the experience. You have two campi in this University: the Alameda campus and the TagusPark Campus. I had the chance to experience both deeply, as I had my classes in Taguspark, because my degree is taken there, and I live right next to Alameda, which made my study time be spent in the Alameda campus. Starting with TagusPark, facilities are good. The building is more recent than the Alameda campus. There are big auditoriums with lots of space, good screens for class presentations, and the Professor can be heard perfectly if there is no noise, and be seen perfectly because students are placed higher than professors, such as in a stair of tables. Chairs are all connected in every stair row, and can be a bit out of place, so leaning forward may mean the whole row of chairs leans forward as well. There are small auditoriums which can be quite full some times, specially in the beginning of semesters, when everyone decides to show up to classes. As time passes, classes become empty and there is a lot of space. Laboratories here are also good, just as the auditoriums. To study here you have many, many rooms. There is a silent library with medium capacity. In exam times you either arrive early or can forget the library. Wooden spacious tables are offered, and not a sound can be heard, or library employees will immediately tell you to be quiet. In this library there are rooms that you can rent for two hours and enjoy a private place to do projects for courses, or just study with friends. I usually used them for projects as it provides a private environment with a white board for organizing thoughts, and ethernet cable connection. Here you can make some noise. There are lots of rooms in the building that have PC desktops in them, free to use, and cushioned chairs. The bathrooms are good, but the reason I am talking about toilets is because many people use the highest floor ones due to their view over Cacém, and the fact that not that much people use them, which means they are cleaner. You have three cafeterias here. One is located in the -1 floor, and offers really cheap food. I only went there once, and it was in my first year as a college student. There is another one that offers cheap menus. It is located in one end of the building and is usually called "Bar Azul". This one I went more times. On the other end of the building you have a caffe that was the usual place to chill and to eat breakfast and snack in the afternoon. In the morning I would eat a toasted croissant, and in the afternoon I would eat their own made chocolate croissants, just right out of the oven. Employees here are very nice and friendly! You also have a football court here, where barbecues happen; a student residence that is cheaper than rooms in Lisbon; and a big parking lot. Concerning Alameda, this campus has more variety. It is bigger, and is the main campus. As I had almost no classes here, I cannot talk to you about classrooms, but I spent 90% of my study time here, so I can tell you I tried more than 10 different places to study in this campus. The first, and the one I used the most was the Pavilhão de Civil. 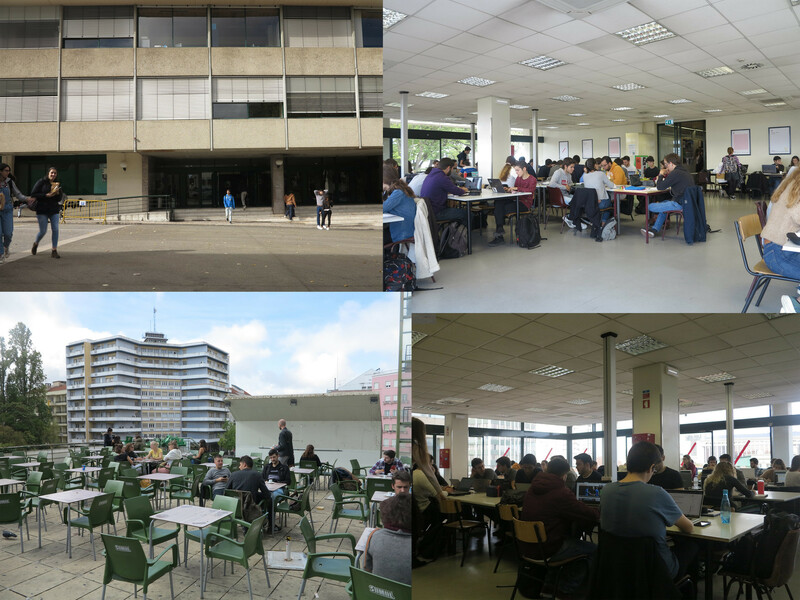 It is open twenty four hours per day, and open to anyone who is a University of Lisbon student, although security guards rarely ask for a student ID. Rooms here are hot, not because of the heating (there is none), but because of human heating. You get used to it. There is only one silent room, and it is small, so expect to be in noisy rooms, with lots of people laughing and talking, specially in the Aquarium, the only place that has air conditioning, and is covered with windows as walls. This room can become quite a mess. Groups of people gather here to study but rapidly become out of control. I go there many times. Pavilhão de Civil is usually clean, but old. The building can let some rain come in, but not in the study rooms. I also go to many libraries. The central one has few places, and can get full easily. Its main attraction are the extra cushioned chairs. Really comfortable, but not study inviting! The chemistry tower library is also one of my top picks. Usually has room for you. You also have the electricity tower library, the civil engineering building library, the mathematics and physics building library, and many others. All of these have facilities with varying degrees of ageing, but are all capable of satisfying your study needs. One of my favourite places in this University is the Pavilhão de Civil caffe. Here you have a terrace that has lots of hours of sun! You can have lunch, eat a snack, or just drink a cup of water and enjoy the sun while chating with friends. It is one of the top places for student gatherings in the University. There are many caffes in the campus, but this one has more sun than the others. Bar da Bola also has lots of sun in the morning and is located next to the futsal court. Besides the futsal court you also have a tennis court, two padel courts and a squash court that is also used for yoga classes! In this place there are also barbecue gatherings, where students get together to drink beers and enjoy some music and relaxation out of classes and exams. It is not a glamorous place, it is not attractive, but is a space for laughter and fun, which was enough for me many times. You also have a Fnac store inside, which is said to be the smallest Fnac in Europe. Fnac is a really famous French electronics store. In IST it sells academic books, electronic accessories and coffee! Tutours are varied, as are people. I have had many, and I can say that most are not the best teachers, yet, most are competent, follow the guidelines for teaching in the University, provide extra help out of classes, such as time for you to make questions. Yet, I would say that to be a good professor you have to do more than to follow guidelines. Classes can be boring, you can attend one and rapidly lose your focus, and end up learning nothing. There is no fun, no energy in presentations. Some tutours just read power point slides and talk fast. English can be bad, but funny. Pronounciation of some words can become a trademark of the professor. But not all is this. There are very good professors. Some who can combine education with fun. Some who have a really good framework for their course teaching, and who can bring energy and fun to classes, even if it is to make jokes about horrible performances in exams. My best professor was a complex analysis professor which was a genius. His method of teaching was incredibly organized and easy to understand. He would explain us everything we had to do to pass or have good grades. He would correct the exams of more than one hundred students in less than two days, contrarily to all other professors who take one or two weeks, sometimes more than a month! One thing I can say is that I do not remember having a rude professor. All were open and nice when talking in person, regardless of being good teachers or not. So expect nice people and maybe not the best teachers. 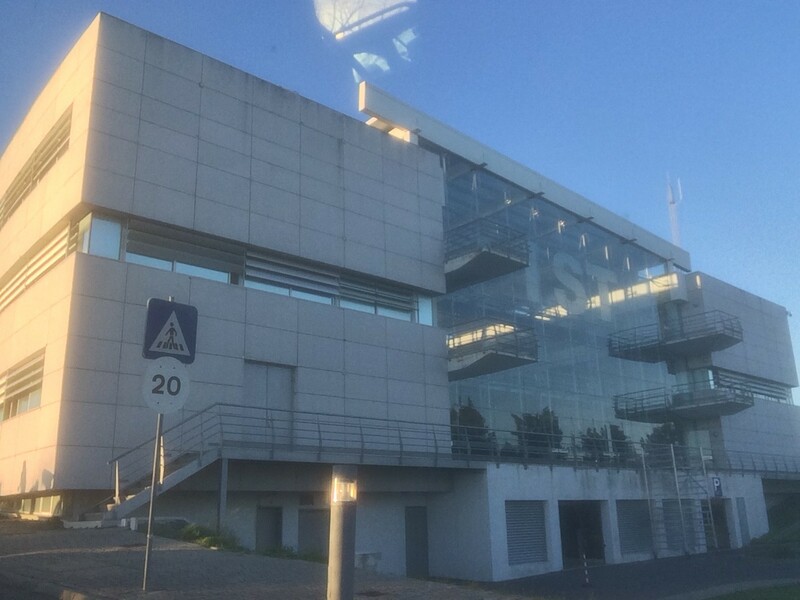 Are the lessons easy in Instituto Superior Técnico? Lessons are not easy. One thing professors can make about their courses is to have an easy course and turn it into a difficult one due to the bad teaching method. Classes were not my thing, I admit. Ninety percent of courses did not justify that I should go to TagusPark and attend one. The only classes I would go to (and not that often) would be the practical ones, in which you would do exercises with professors. Theoretical classes were mostly useless. Long, boring, and not productive. So one would have to focus on studying Power Point slides before exams. I had a group of friends who had the same routine as me, and would also miss classes. The trick was to get together near exam periods and study course materials from books and Power Point slides and then do the exam. Most times we did pretty well. There are things that are only taught in classes, either because it is natural for this to occur, or simply because professors like to reward class attendants. But I have lots of friends who attend classes, so I would ask them about everything I needed to know. Of course, going to classes was better, but it was a way of avoiding the need to move to TagusPark and spend some boring hours. I am not an example, I know. I have some tips on how you could do better than me, and these come from observing the best students in my courses. They attended classes, but the main thing they would do was to be friends with the professor, and make the best out of outside of class question schedules (all professors have one as it is demanded by IST). Here they were able to learn everything, even if they had missed some classes. As I said, professors are all very nice and open in person, so do not hesitate to go to their office and ask them to explain the whole course again, even more if exams are coming. You will be surprised by the help they can give you. Another thing to take into consideration is that classes can be hard to understand, as the quality of the professors' spoken english can be quite limited, and that is why office hours can be so valuable, where professors can talk slowly and repeat things more times than in class. Courses are hard to pass. Many exam questions can catch you unprepared. The trick is to not feel pressured. To study for exams me and my friends would do all previous exams from previous years. This would do it most of the times. Ask a colleague of yours how to obtain these, and also ask them about where to get exam solutions. These can be provided by professors, but there are some drives and dropboxes that are specific to each degree that have helpful documents for each subject. Invaluable materials for students, such as solutions, projects and exercises. We would also do exercises from the practical lessons. If you missed one or two then ask your friends to provide you the solution for them. These were the two main ways I would practice for exams. Of course, there is always theory, and you have class books and Power Point Slides to study it. IST has many culture and sports activities. Concerning culture, you have many activity groups with varied themes such as cinema, theatre, music, painting, academic journalism, photography, radio, and many other activities you can join. The following are some descriptions of some of these groups. Cinema ParaIST is a group of cinefiles that almost has a century of existence in film critic. They analyse and comment all events related to the seventh art. Diferencial is an academic independent journal that belongs to IST. It is directed by all members of the University community and its aim is to provide information to readers on what is happening in the University, in the country and in the world. Diferencial is not influenced by any economic or political purposes, or any other group. This theatre group was founded in the school year of 1992/93. It is an experimentation place for people who look in theatre for a way to express themselves. The space is always open to new people, new ideas and new discussions. In the beginning of each school year a new group is born, with the inclusion of new elements and a new Dramatic Expression course begins, in which any person from IST, or not, can join. If you are looking for a deep Portuguese cultural experience then try the Portuguese Traditional Singing group (if you try this you will be more Portuguese than I am). It has a vocal and instrumental component, with many Portuguese traditional instruments such as the Guitarra Portuguesa. Their mission is to preserve Portuguese traditional music, as well as promote and show Portuguese culture, not only through singing, but also through style and traditional clothes wearing. Sports are varied. You have Aikido, Andebol, Basketball, Football, Futsal, Water Polo, Rugby, Surf/Bodyboard, Taekwondo, Table Tennis, Voleybol, Squash, Tennis, Padel, Cycling, and many others. I do yoga at IST. Classes are in the squash room. You only have to pay 5€ for a class, and Ceci, the instructor and professor, will walk you through an hour of different movements, positions and postures. If you like it, you can pay 15€ for one month of classes, one class per week, or pay 25€ for three classes per week. You can also pay 20€ and have two classes per week (that is what I do). Classes are on Tuesdays, Thursdays and Saturdays. Search for YogaIST for more information. Many events and workshops are organized. NAPE is a group of students that organize many activities that support student skills. I once participated in a series of Excel and Matlab workshops and attended some company talks organized by them. There is also a place called LTI de Civil which organizes one week software courses, such as Matlab for beginners and for people who are more advanced, Excel, Microsoft Project, AutoCAD, and many others. Jobshops and career fairs also happen every year and many companies come to look for the University's students talent. Deloitte, Navigator and Microsoft are just some of the companies that come to these events. When it comes to party, there is lots of it. Big events happen in the beginning of the first semester. First you start off with the Santa Sebenta, which is a fest that marks the beginning of the academic year, with lots of music, freshmen and drinking. Next you have the biggest academic fest organized by IST. It is the Arraial. Here you will find live concerts, food stands, drink stands that belong to different degrees and sport groups, and crowded bathrooms. It is my favourite festival. All people are drunk, and I do mean ninety nine percent. It is a great time to socialize with your degree colleagues, but also to meet University colleagues in general. Everyone is happy and open to friendship, even if they do not remember anything in the next day! Two days of fun and live concerts. The line-ups are usually made of famous Portuguese Hip-Hop and Pimba artists, but I do not go to this fest for the concerts, but for the whole atmosphere of happiness and friendship around it. During the year there are no more big fests like these. There are only small, intimate barbecues, but can become full sometimes. Next to the futsal field people gather around beer barrels and barbecues, and drink and listen to music, although there is only music until 23:00 due to the noise disturbing the neighbors. I went to many of these. There are several during the week, as long as it is not during exam periods. Each is organized by different nucleuses of students, such as different sports groups, different degrees, non-profit organizations, or just the students' association. Cheap beer and good laughters are what you get here. Sometimes you can even have free beer if you have a friend that is part of the organization behind that specific barbecue. And some times, barbecues have so few people that beer can become almost free, just so that they can sell some! The quality of teaching has to be improved, but it is not the University's fault, it is really the general system of teaching that is not interesting. I had too many theory to study, and very little practical aspects to have contact with. This made me distant from reality, and some subjects were really boring. I can say that I like mathematics theory, but management and physics subjects could be very dull and not interesting without exploring case studies or having contact with mechanical parts of machines. I did have contact with these things, but not that much. I just know that subjects did not interest me, and that may have nothing to do with the quality of teaching. As I said, Professors follow the guidelines. These can be enough for some students. For me it was boring. One day I was studying in Pavilhão de Civil and felt hungry. I went to the corridor's food machine, inserted a coin, and picked a croissant, but the machine continued to tell me that I should pick an item. Me and my friends ended up emptying the machine with just that coin. The next day the same thing happened, and again we emptied the machine. And it never happened again. There was one barbecue organized by a non-profit organization to gather money for charity. This barbecue would start at noon and end after midnight. In the meantime you could also enjoy the Futsal field for free during the whole day. So I spoke with my friends, created a group, and at noon there we were. We drank some beers and played football. Almost no one came besides us, which meant we had the futsal field all for us! After dinner we got together again. It was just our group again, and as time passed and we got drunk they ended up offering us the rest of the beer barrel because we were the only group there! 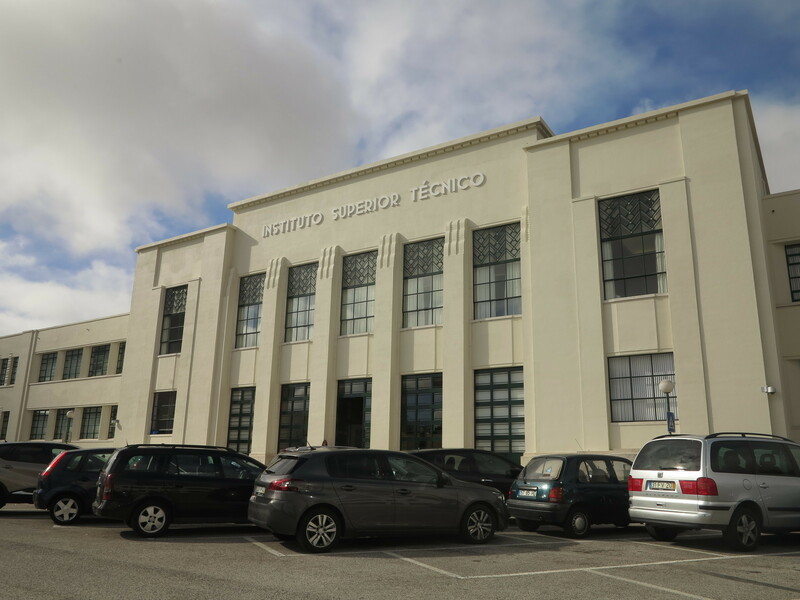 Español: Experiencia en el Instituto Superior Técnico, Portugal. Escrito por Bernardo. 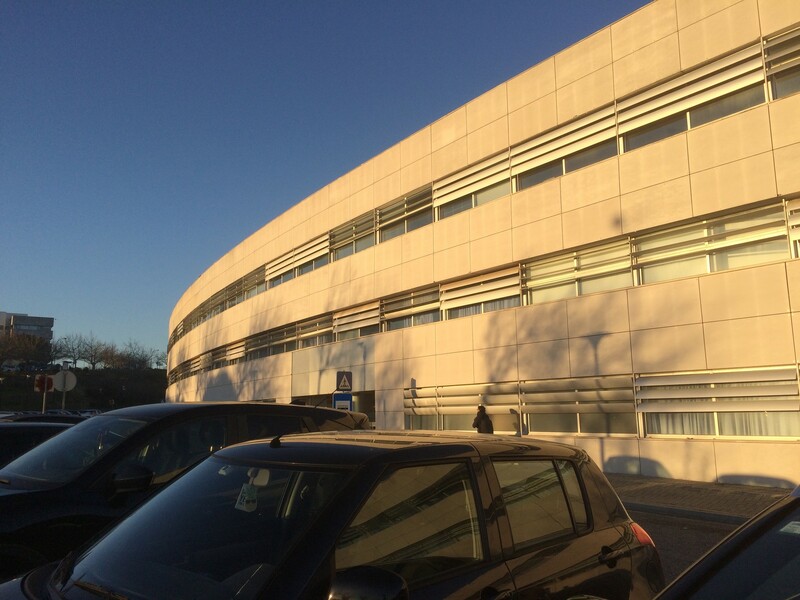 Share your Erasmus Experience in Instituto Superior Técnico! If you know Instituto Superior Técnico as native, traveler or as exchange student... share your opinion on Instituto Superior Técnico! Rate different characteristics and share your experience.